Go vegetable heavy. Reverse the psychology of your plate by making meat the side dish and vegetables the main course. — Bobby Flay (vegetable quote). 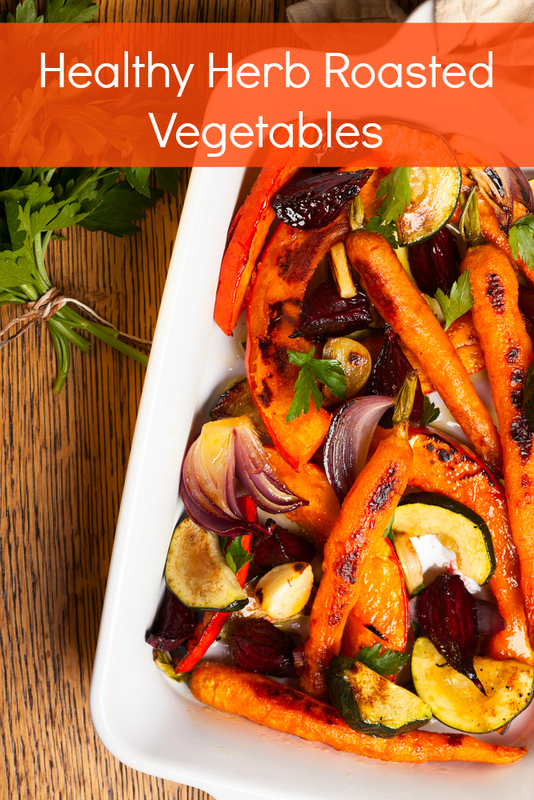 Winter vegetables make a vibrant, healthy display in this satisfying side dish. Choose the most brightly colored vegetables you can find for the most nutrients. 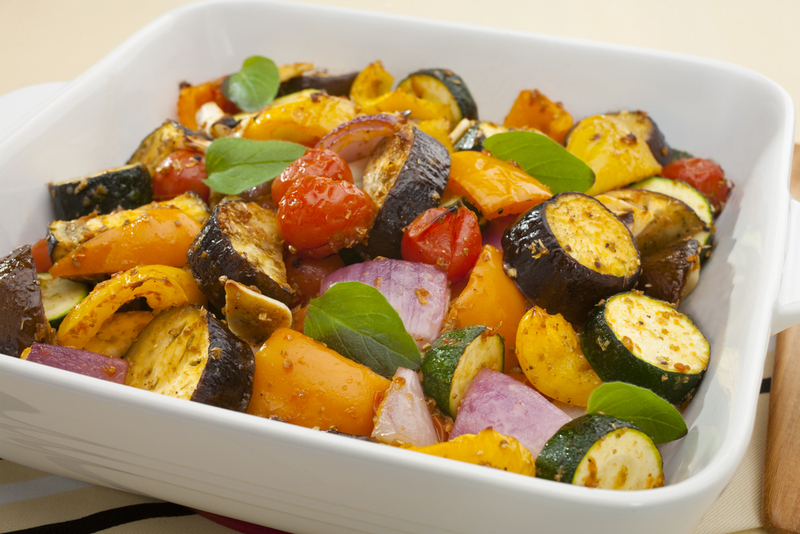 If you can find specialty items like golden beets or red carrots, try them in this dish. For summer, try adding zucchini and tomatoes. This recipe is quite flexible and you can adjust it to fit what you have on hand. Combine the olive oil, oregano, rosemary, and pepper in a large bowl. Add the vegetables and toss until evenly coated. Transfer to baking sheets and cover with foil. 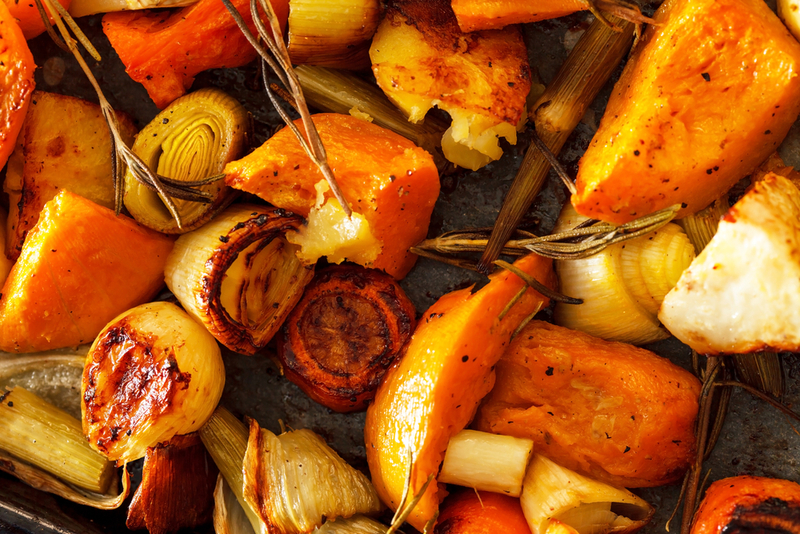 Roast until the vegetables are tender, about 30 minutes, depending upon the size of your cuts. Remove the foil and continue to roast until the vegetables are browned, another 5 minutes. Transfer to a serving dish. Season with the sea salt and serve at once.